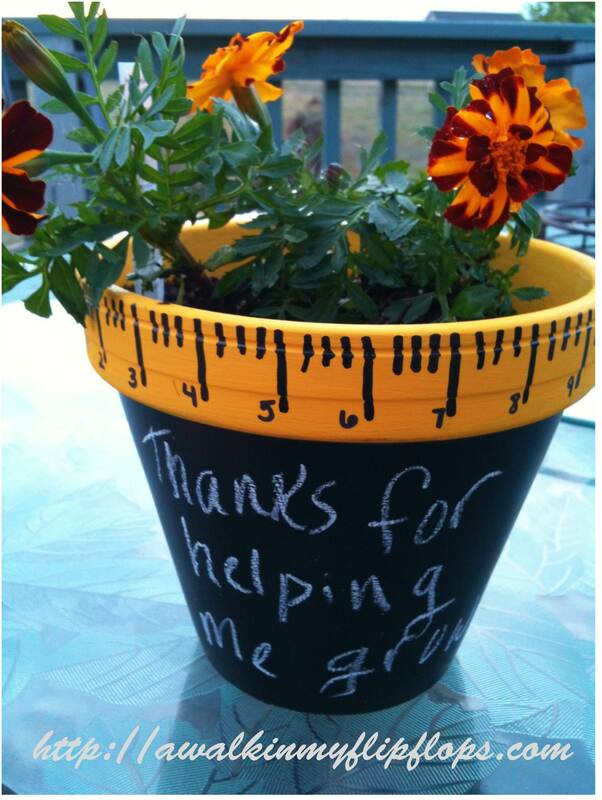 This is a really cute spring idea I saw on another blog, to show appreciattion for a teacher. So many gorgeous flowers are starting to bloom, and appear in local nurseries. 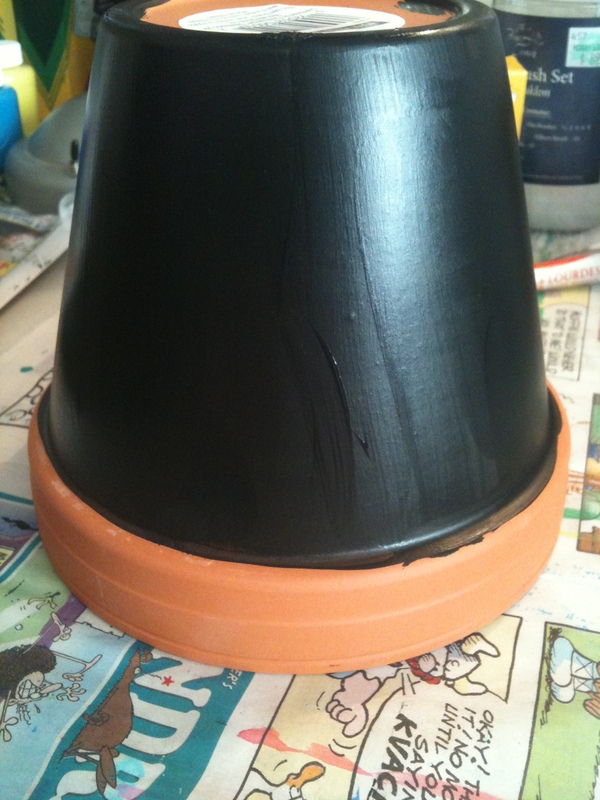 I started by painting a coat of the chalkboard paint on the flower pot, leaving the rim bare, using vertical brush strokes. Let that dry about an hour, and then applied another coat horizontally. This makes sure you get everything well covered. 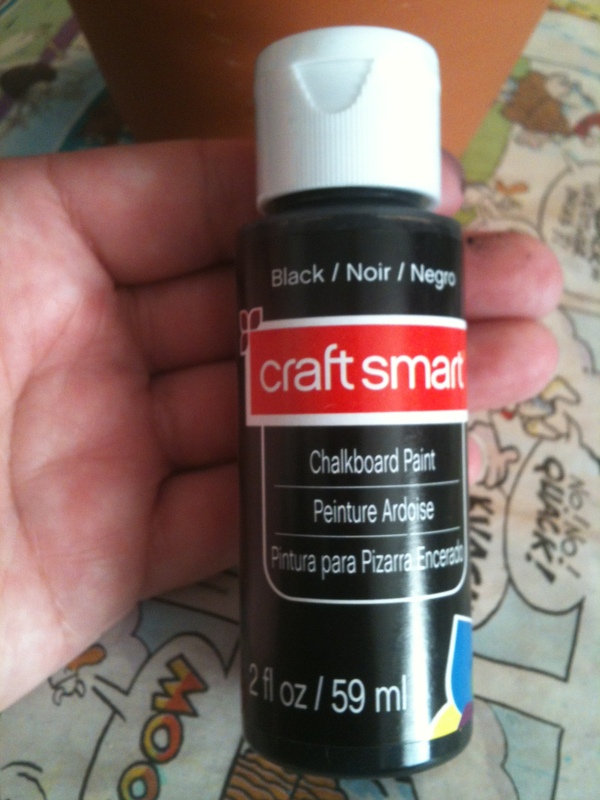 (If you’re using spray chalkboard paint, just follow the directions on the can.) 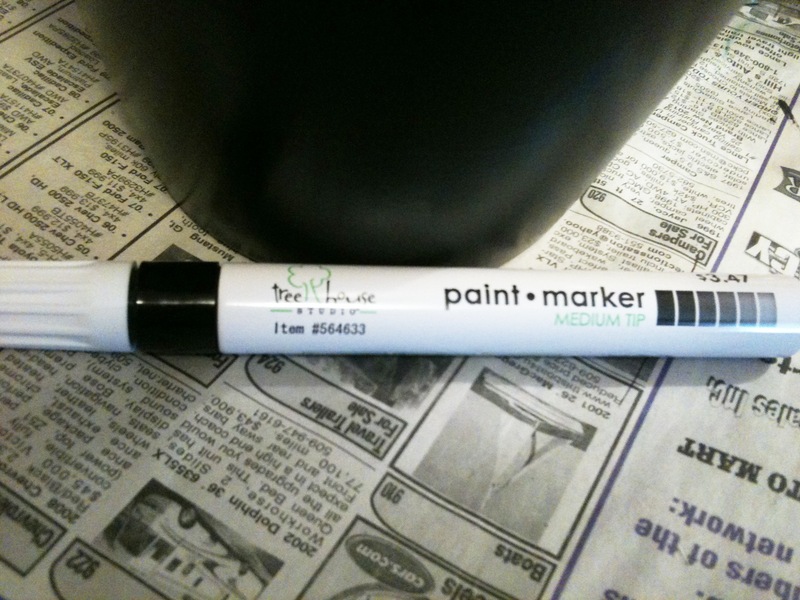 The instructions on the paint said to then let it cure for 24 hours. 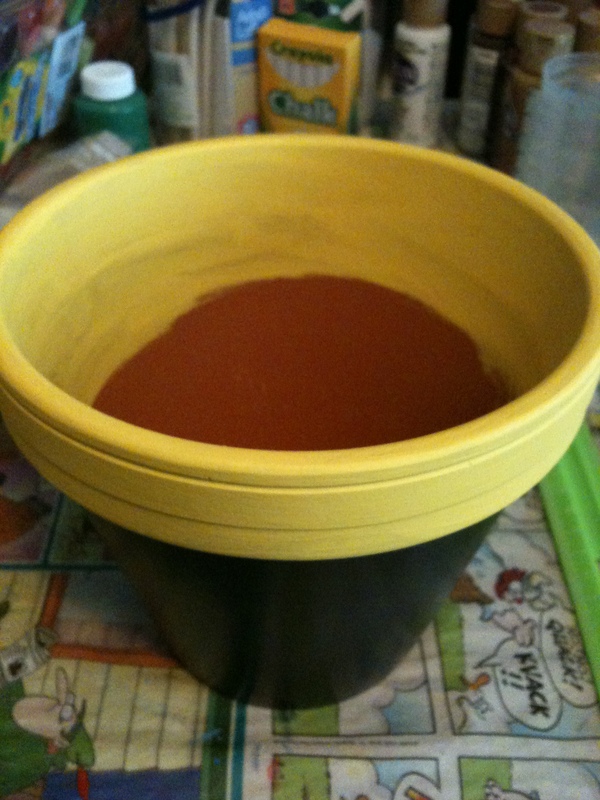 While I was waiting, I went ahead and painted the rim, and part of the inside yellow. I painted partially down the inside, below where the dirt line will be when I plant the flower so you don’t see the paint line. 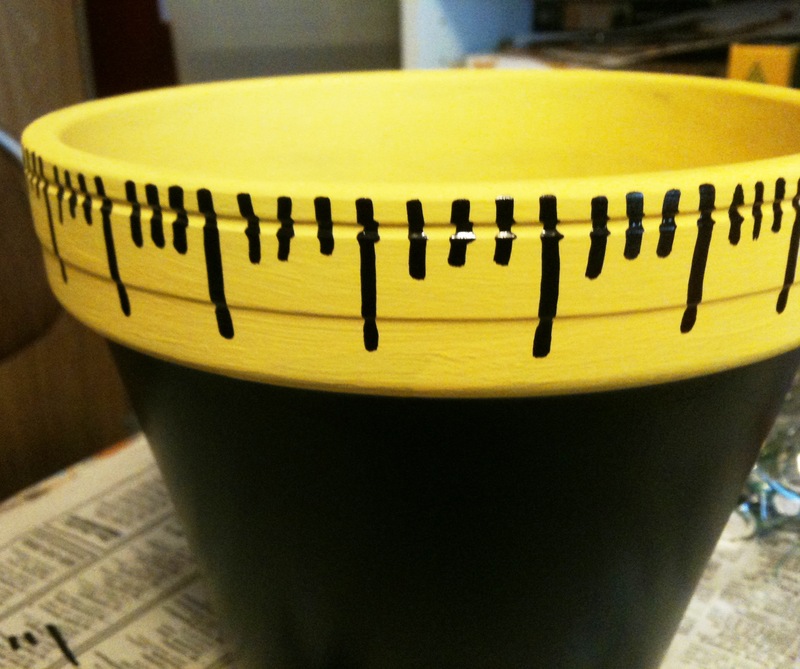 Once the yellow paint dried, I added the “ruler” lines all around the rim of the pot with my paint pen. 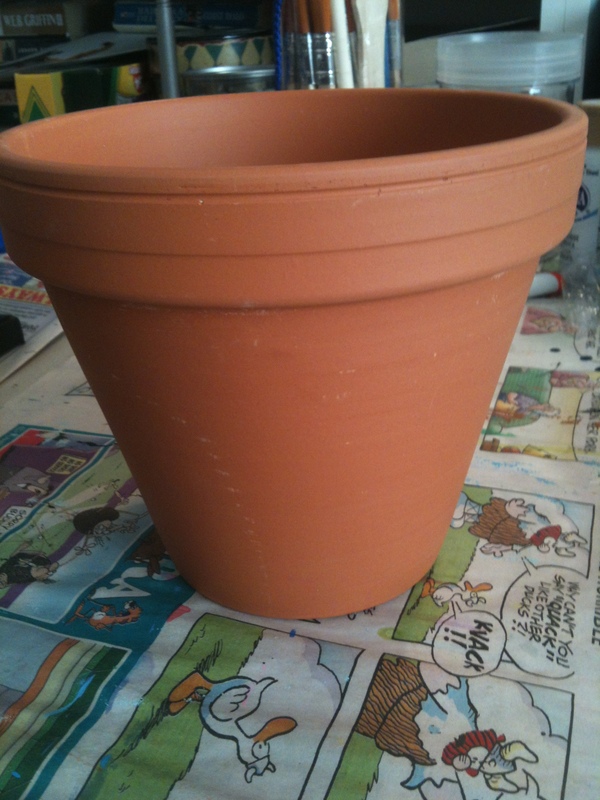 NOTE: I had a little trouble getting the ruler lines to be even on the rim of the pot. It would be easier if the rim was totally flat, instead of grooved like this one. Now it’s ready for planting. 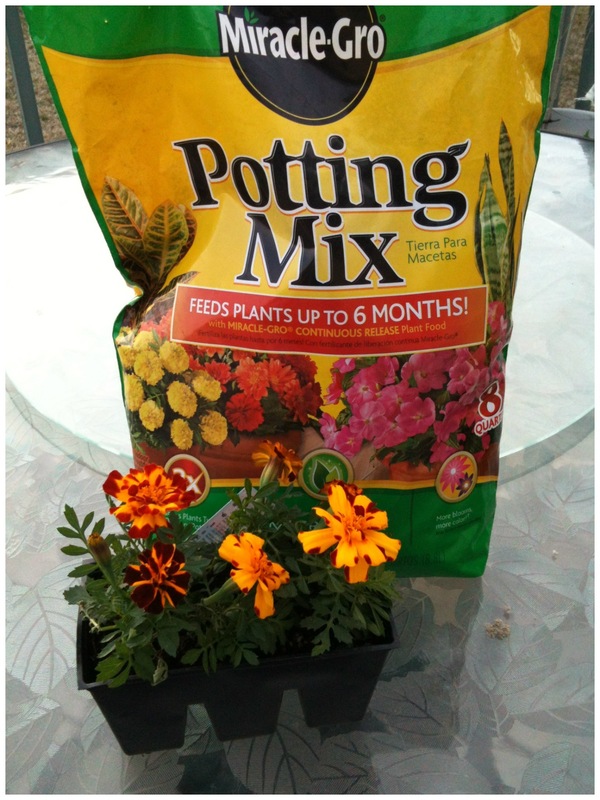 My daughter chose Marigolds…. 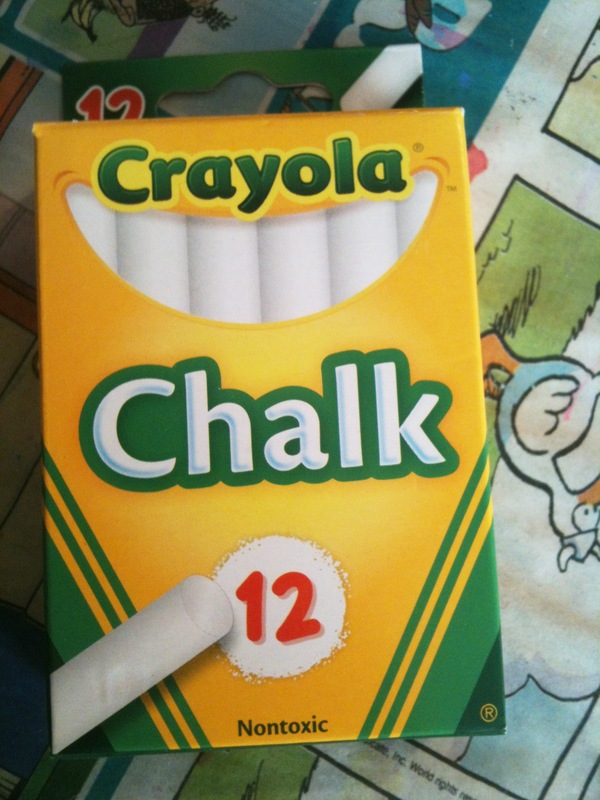 Write your message to the teacher on the chalkboard with your chalk. (Again, I used Crayola). Teachers are ginna be fighting over Em next year just for all the neat stuff she brings them! Haha. She has two teachers, so this is for the other one…..